format, If so then there we listed Some ways to convert youtube videos in mp3 format. Using online tools/websites to convert youtube videos to mp3 online. Using Browsers Extensions to convert youtube videos to mp3. Using QQ-player to convert youtube video to mp3. 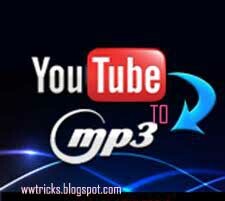 can convert youtube video to mp3 file format easily. so you will directly convert youtube video to mp3 format..
available, so if you are using firefox then install the extension to convert youtube videos on firefox from this link. don't need for any Free Video converter To convert youtube videos to mp3 or other format. If you don't know how to convert video using QQ-player then learn now how to convert video using QQ-player.